Today kicks off the start of the SVG Open 2009 conference, hosted at Google this year. The SVG Open conference is an annual conference where the SVG community comes together for three-days. Other sponsors of the conference this year include Microsoft and IBM. SVG, or Scalable Vector Graphics, is an open web standard that makes it easy to add interactive vector graphics to your web pages. Vector graphics, as opposed to bitmap graphics like JPG, GIF, or PNG files, describe the shapes on your screen with mathematical equations rendered by your computer rather than pixels. This allows vector graphics to stay beautiful and crisp whether displayed on a 40" monitor or a small mobile device. Second, we like that SVG is composed of text and markup, just like HTML. Because it's markup, search engines have a much easier time working with SVG; server-side languages like PHP or Google App Engine can simply emit SVG just like they generate HTML; and users and developers can easily view the source just like a normal web page to learn and move things forward. 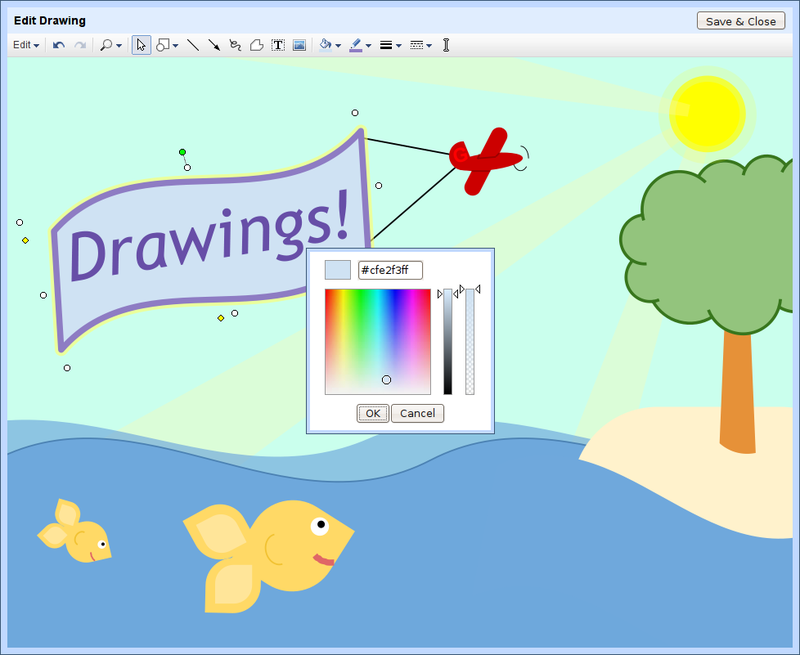 It's also easy to import and export SVG into tools like the open source Inkscape drawing package or Adobe Illustrator. Third, the compact size of SVG when combined with HTTP GZip compression can easily make the images on a page roughly an order of magnitude smaller, and when directly embedded into an HTML 5 page can decrease the latency of a page by reducing the number of fetches. Small and fast are definitely two things we like at Google, and we like that SVG helps enable both. Finally, SVG is an open standard that is vendor-neutral. It also has accessibility built in, so when screen readers start to work with SVG your content will be future-proofed with accessibility baked in. We also like that SVG is now natively supported on all modern browsers, including the iPhone. What Are Some Places We Use SVG? On all browsers we use SVG to build this user interface; on Internet Explorer we have to revert to an older technology named Vector Markup Language (VML) unfortunately. Another example is the Google Visualization API, which lets you access multiple sources of structured data that you can display, choosing from a large selection of visualizations. Some of these visualizations (such as this one and this one) use SVG to do their drawing on all browsers except Internet Explorer. Canvas Or SVG? Oh My! A natural question is how SVG compares to the Canvas tag. In our opinion both are needed for the web and are suitable for different applications. SVG, meanwhile, is higher-level, doing the bookkeeping necessary to keep track of where everything is, making things like mouse interaction much easier. If you don't need this interaction, however, the overhead imposed by SVG can get in the way of certain applications. Because SVG is markup, importing and exporting is much easier, including SEO and accessibility. Now that you know a bit more about SVG, why we like it, and some of the places we use it, let me tell you a bit about some of the work we've been doing to support SVG lately. SVG Web cleverly uses existing facilities on Internet Explorer 6, 7, and 8 to instantly enable SVG support without the user having to download any new software or plugins. Using SVG Web plus native SVG support you can now target close to 100% of the existing installed web base, today. Before SVG Web you could only target about ~30% of web browsers with SVG. In addition to helping enable SVG on Internet Explorer, we've been working with Wikipedia. Wikipedia has an impressively large collection of SVG files that are under Creative Commons licenses. Every one of these files is available in the Wikimedia Commons; for example here is the Linux penguin Tux as SVG. We've been working with Wikipedia to enable interactive zooming and panning of these SVG files, similar to Google Maps; even better, this functionality works in Internet Explorer thanks to the SVG Web library on the sixth largest site on the web. We hope you are as excited as we are about SVG and other new web technologies in the pipeline! The exquisite timing of browser dynamics, along with your talents has, finally, lauched SVG. Good articles in the press talking about how Google is calling on Microsoft to (finally) implement SVG in IE and congratulations on SVG Web. But how are things going with Android supporting SVG? Is this finally happening? Would hate to have to use Chrome Frame or SVG Web to get SVG working in Android. If Microsoft does finally implement SVG, Android will be the lone holdout. SVG has become ubiquitous on desktop and mobile except Android. That example about embedding svg in html doesn't seem to work with WebKit (nor Firefox for that matter). I thought it could have been a problem in our Qt port (I'm a WebKit developer), but testing with Safari shows that it doesn't work there as well. @Kenneth: The SVG in HTML 5 embed syntax (documented at http://www.whatwg.org/specs/web-apps/current-work/#svg-0) is still being finalized. It is in FF 3.6 but off by default; I'm sure it will arrive in Webkit soon. 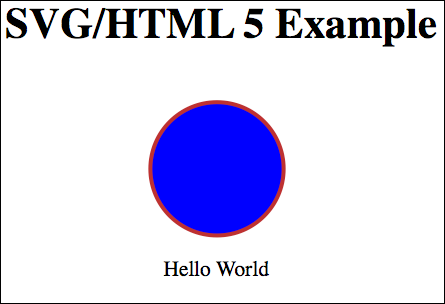 SVG Web currently allows direct embed of SVG into HTML 5 and will support the final HTML 5 syntax when it is finalized soon. All five of the reasons why "Google is excited about SVG" apply to MathML: it's part of HTML5; it's text and markup; it's compact relative to images; it integrates with other web technologies; and it's vendor neutral. MathML works in IE, Firefox, and somewhat in Opera (via CSS). MathML development is going on in Webkit. MathML in IE via the MathPlayer plug-in works with a lots of assistive technology so that the math encoded with MathML is accessible. It's great that your working to improve the SVG experience, but what about improving the experience for people who use math (something that every child does every school day)? Any plans for MathML support in Chrome? SVG Web means that SVG is now ubiquitous. I'll ask the SVG IG to see if we can't put some energy into updating the Wikipedia entry on SVG to help celebrate the confluence of streams. Great conference! Thanks so much to you and Google for hosting it. I mean Ireland of course. I wrote up my own entry about this, and wrote up a simple PHP library around the SVGWeb code that also takes into account the different declarations needed between browsers: download here. Hopefully it's of some use to you guys! It's not quite as compatible as just writing a tag, but I think that it is pretty easy to implement and pulls off the "embed with one line of code" objective. Right now, it only works with external SVG resources. As the poster above said, it is interesting that default browser in Android does not support SVG. Here is what seems to be the reason why: issue 1376. There is a port of libsvg for Android, can be used to rasterize a SVG image to an Android canvas object.